Welcome to Heywood Avenue School, a community in every sense of the word. At Heywood it is all about the journey. It is a journey that includes parents and staff members working together in our mission to ensure that the children of Heywood Avenue School develop the skills necessary to be successful participants in the increasingly competitive global community of the 21st Century. 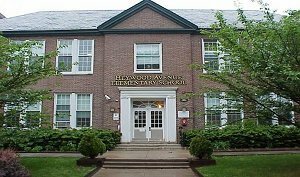 It is my personal goal to make sure our students ultimately go on to a place where they will achieve their goals, and achieve things they may have never contemplated when they first set foot in the halls of Heywood Avenue School. I look forward to continuing to work in collaboration with all of the members of the Heywood community to ensure that the goals of our students are realized, and their achievements are celebrated. Please feel free to contact me at your earliest convenience regarding any questions you may have regarding the Heywood Avenue School Community. I may be reached via email at murphyge@orange.k12.nj.us or via telephone at 973-677-4105. I look forward to working with each of you as we prepare and inspire the students of Heywood Avenue School to develop the essential skills and knowledge to be successful in life. Best wishes for an outstanding 2017-2018 school year.